Read what a top Bury dental clinic has to say. You must have seen this story last week because it appeared in almost every newspaper as well as being featured on TV and radio. According to research carried out in the USA dental flossing is simply a waste of time and money. But is it? Not according to Carisbrook Dental, a leading Bury dental clinic who say they disagree with much of what appears in the study. The report, according to Carisbrook, appears to be a bit weak and somewhat sketchy but despite this it certainly ‘hit the headlines’. Nevertheless you shouldn’t write off flossing as a waste of time stated Dr Tariq Idrees from the top Bury dental clinic. He confirmed that every day they see patients who regularly floss correctly and without doubt these patients generally have less decay between their teeth than patients who don’t. 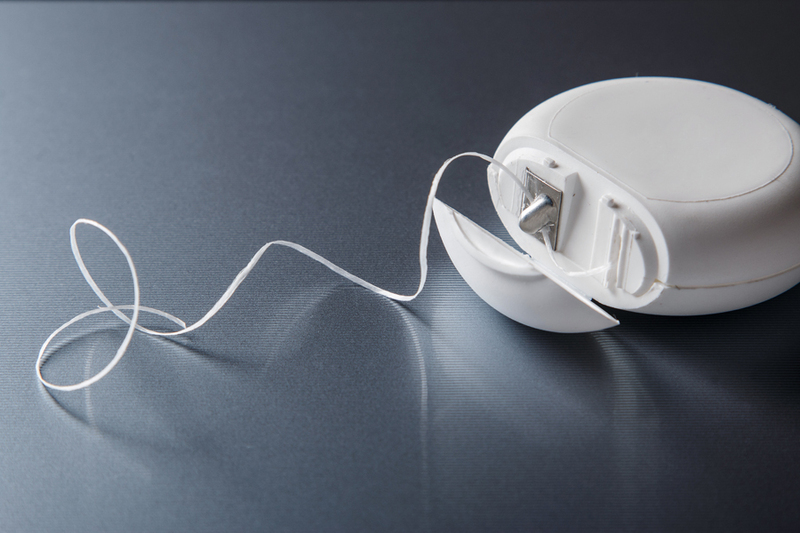 Flossing also significantly reduces the risk of gingivitis confirmed Dr Idrees. It is commonly accepted, said Carisbrook, that conventional brushing alone only cleans approximately 60 percent of the teeth’s total surface area. In other words there is 40 percent (the area between the teeth) that is inaccessible by a toothbrush. According to this Bury dental clinic using floss on a daily basis – and using it correctly – will effectively remove the plaque that builds up between the teeth and which is a primary cause of tooth decay. Where possible, concedes Dr Idrees, an interdental brush is preferable to flossing, but for many people whose teeth are packed tightly together, there is too little space for brushing. Therefore flossing is the next best alternative. Cleaning between the teeth is a vital part of preventative dentistry and it plays a crucial role in daily dental hygiene. It is important though to use the correct technique insists Dr Idrees. Do not just use a side-to-side ‘sawing’ motion. Instead floss by moving the thread up and down as well as backwards and forwards. Take care though not to damage the gums by flossing too vigorously. You can see the correct technique demonstrated by going to the Help & Advice page where there are a number of video presentations showing the right way to clean between your teeth. Teeth cleaning is the first step to keeping your teeth clean and healthy says Dr Idrees and interdental cleaning is a key part of that process. It is certainly a process that we as a leading Bury dental clinic would without question fully recommend. If you would like to discuss flossing or interdental cleaning with one of our hygienist team you can make an appointment by calling 0161 951 7295. You can also book an appointment online by using the form on our Appointments page.